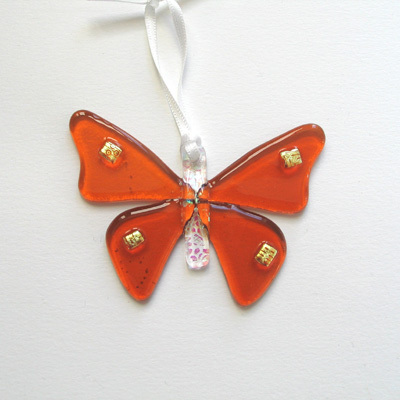 This butterfly decoration is made from sunset coral glass with dichroic glass body and spots. A lovely sun catcher. It measures approx. 6cm across.